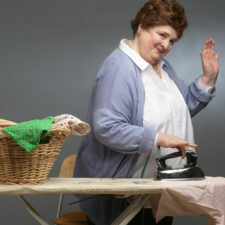 I started reading Erma Bombeck’s columns and books years ago when I was a young housewife. Like millions of her fans, I could relate to the experiences she was recounting. She took ordinary circumstances and brought them to life in such a lively, humorous way that you couldn’t help but break out into laughter and nod your approval. It’s great to see Virginia Rep putting that humor on display in Erma Bombeck: At Wit’s End, now playing at Hanover Tavern. 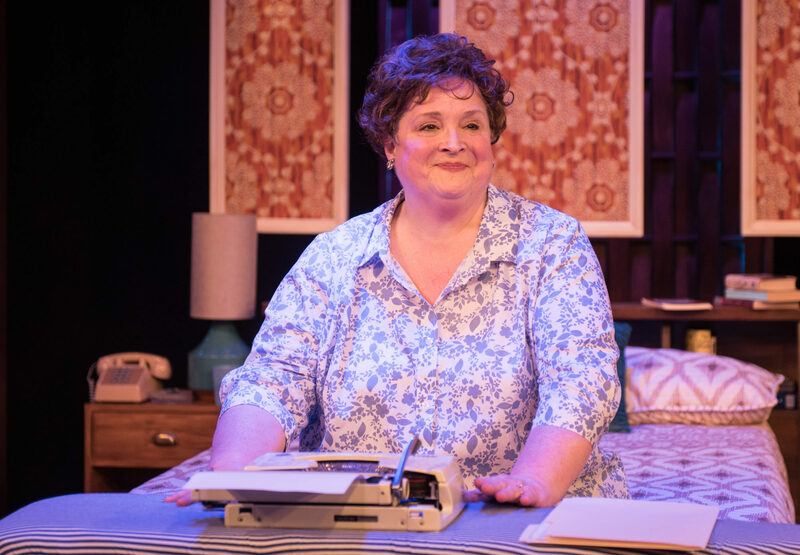 The quick one-hour production takes you into the home of Bombeck and gives you an intimate feel for her life and wit. You may even, like one of my friends, discover the jokes you thought were exclusive to your family originated in Bombeck’s works. No one could bring this female icon to life better than the multi-talented actress Catherine Shaffner. During the production, the line blurs as to whether it’s Shaffner on stage or Bombeck firing off these clever pearls of wisdom. Shaffner channels the beloved humorist in a special, comfortable way. Her pauses, inflections, jokes, and gestures are so skillfully fine-tuned that you feel as if you are sitting across from Bombeck and exchanging stories with a friend. This fun show travels through Bombeck’s life from the days when her children were young and she was a stay-at-home mom to her support for the Equal Rights Amendment to her eventual date with God. “When I stand before God at the end of my life, I would hope that I would not have a single bit of talent left, and could say, ‘I used everything you gave me,’” Shaffner says, repeating Bombeck’s words with the author’s wisdom and wit. Erma Bombeck: At Wit’s End is like a friend you want to visit again and again. Due to popular demand, it has been extended through April 29 at Hanover Tavern. Go here for showtimes and tickets.